When you're working in dirty, oily or wet environments, your ability to grasp objects is likely to deteriorate. 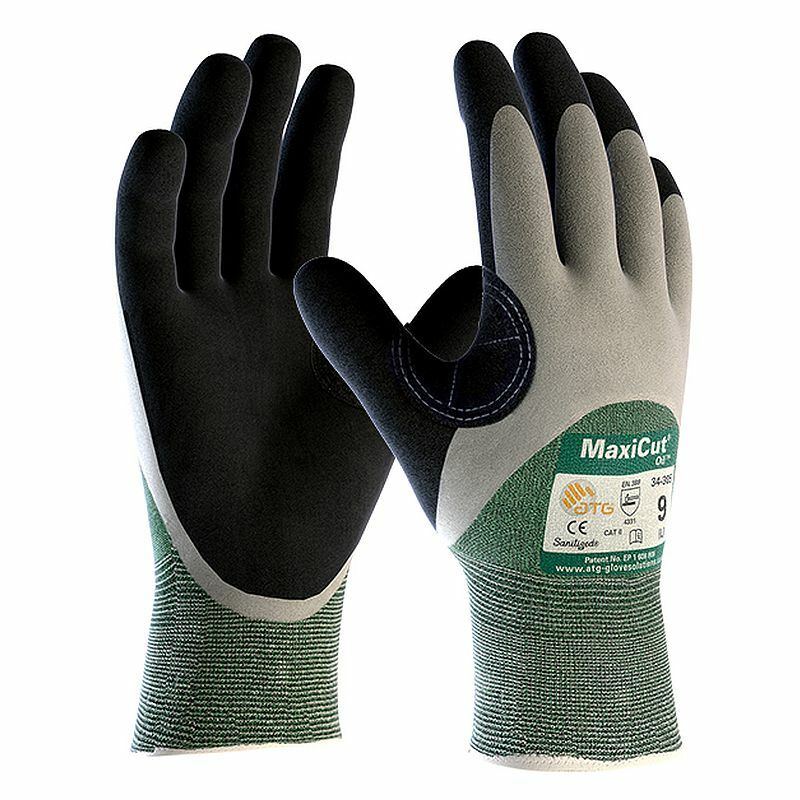 The MaxiCut 3/4 Coated Oil Resistant 34-305 Gloves are designed to provide additional grip in these conditions. The gloves also provide a moderate level of protection against mechanical risks, making them ideal when physical hazards are present. These gloves are designated Category II gloves, meaning they should be suitable for most medium-weight tasks. As the gloves provide protection and grip in wet, dirty or oily conditions that have a moderate risk of cuts, they are ideal for handling sharp materials, warehousing and assembly work. The 3/4 Coated 34-305 Gloves are available in six sizes to fit most hands. Please measure the circumference of your hand around the knuckles (excluding your thumb) with your palm open and your fingers together. Next, measure the length of your hand from the tip of your middle finger to your wrist.